These Practice Exam Papers are written in the style of the actual exam, with the correct command word and mark tariff use, and each with a clear and detailed mark scheme. Perfect for mock exams; your students will be fully prepared to succeed in every examination! Clear student-friendly mark schemes include answer content and marking guidance. 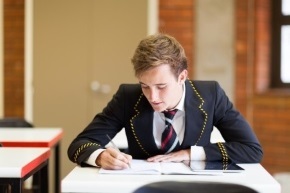 Students see how marks are awarded, improving exam technique. Every core and optional topic on the specification is covered across the range of papers. Rather than present ALL five optional topics in a single resource, these papers provide just the content you need for your chosen topic. Each of the packs contains 4 individual practice exams. The first paper in each resource is a complete exam-ready version, containing the questions and answers for all five topics, providing a full mock exam that can be presented to your students exactly as they will expereience the real Component 03 paper. For sites with multiple teachers offering multiple options: Mega multi-pack price: Buy all 13 Practice Exam Paper resources and save £218!